Your ticket gets You hours of Premium Open Bar, Party Favors, a Champagne Toast at Midnight and VIP Balcony Access from 10 pm. – 1 a.m. Contact us now and plan to spend your New Years Eve high above World Famous Bourbon Street! Come celebrate New Year’s Eve on our Bourbon Street Balcony! 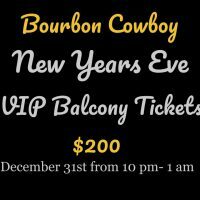 Get your New Years Eve VIP Balcony tickets and party on Bourbon Street waiting for you and your guests to arrive. 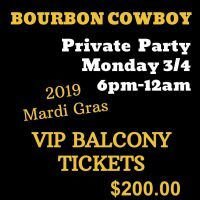 Enjoy dinner and then join us “above the crowd”‎ on Bourbon Street tossing beads and balcony treasures to the people reveling on Bourbon Street. 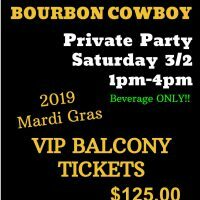 Enjoy unlimited premium mixed drinks, bottled domestic and import beer along with a champagne toast at midnight at our New Years Eve Bourbon Street Balcony Party with dedicated VIP Bourbon Street Balcony space with your own bar, bartender, bathrooms, bar stools, banquettes and tables for those who want a place to sit and relax all waiting for you and your guests. Just add beads for the balcony! 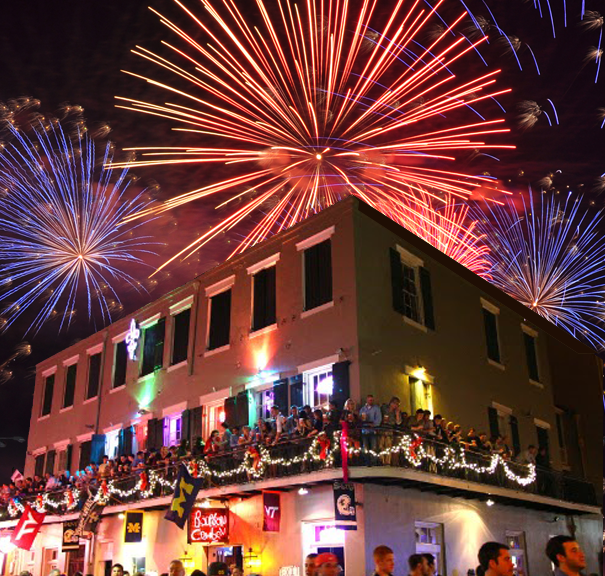 Ring in the new year on Bourbon Street at the Bourbon Cowboy, located on the corner of Bourbon Street and Bienville with a wrap around corner balcony facing the Mississippi River for a glimpse of the fireworks. 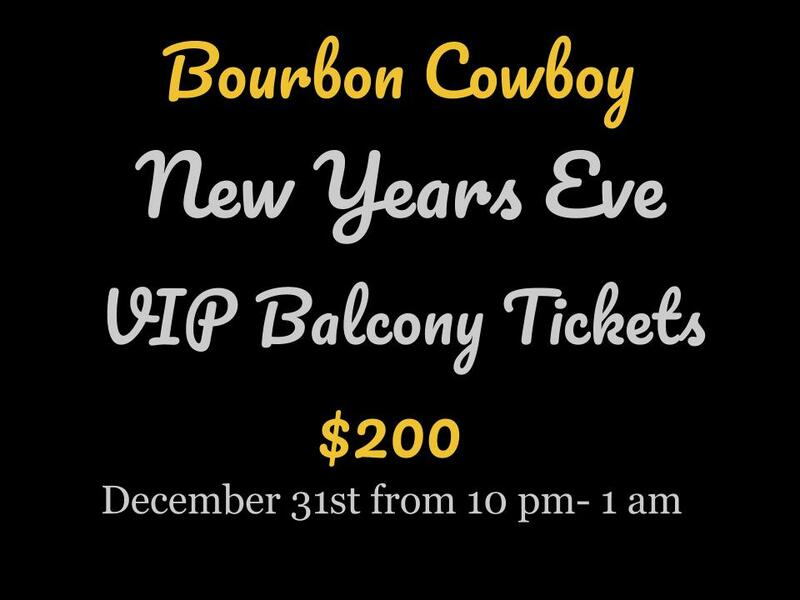 We offer limited New Years Eve Bourbon Street VIP Balcony Tickets for the true VIP Experience. Celebrate New Year’s Eve on Bourbon Street at our VIP Private Party at an actual Bar where the party never ends! Limited availability for the VIP Experience! Champagne Toast at midnight and the champagne will continue to flow for the night.